The very first Isle of Wight Pride took place on the Island on 15th July 2017. It was a hugely successful day attracting visitors from around the Island and across the water. Soon after the event, a date for 2018 was announced: Saturday 21st July. The 2018 event will also incorporate UK Pride for the first time after winning a competition to host the event. Below are some of the articles published through OnTheWight mentioning Isle of Wight Pride. The announcement was made following Saturday's AGM. Other events will take place throughout the year building towards a main Pride event in 2020. Cllr Love addresses the homophobic comments made on social media. 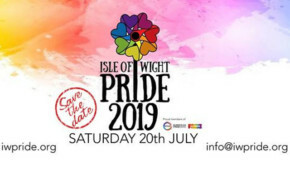 Isle of Wight Pride are on the lookout for new Trustees and more volunteers to help this year's event follow on the success of previous years. If you'd like to get involved let them know by 16th March. Details within. There are some touching and heartfelt stories in this great feature on the BBC's Inside Out programme about this year's Isle of Wight and UK Pride. Commissioned by Solent Productions, working with Solent University students, this segment on BBC1's Inside Out programme will provide a unique insight into UKPride2018 which took place on the Isle of Wight this summer. The second ever Isle of Wight Pride was a huge success, with a rise in the number of people attending as well as entertainment and activities. See OnTheWight's photo gallery and videos. Green Party co-leader and MP, Caroline Lucas, was on the Isle of Wight again last weekend, this time in support of Isle of Wight Pride. This year's Pride is bigger, better promises a huge amount of family friendly fun, from the Parade through the town to the full day and evening of entertainment. 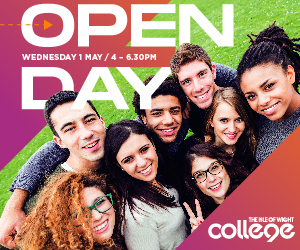 Check out our guide to what's on offer. There is still time to get your free ticket for tonight's (Monday) Queer Question Time event in Newport. Isle of Wight school children of all ages, including those who are home schooled are invited to take part in an art comp as part of Isle of Wight Pride. Time Out says this theatre company "does a magnificent job of introducing undeservedly neglected plays to UK audiences for the first time". Stonecrabs Theatre are bringing two to Quay Arts in June.